Princess Pintsize – It’s Not Fair! Why can’t you wear a ruffle skirt instead of rustling winter pants? The fourth book about the super charming Princess Pintsize. Because nobody has time to explain all the obvious things to adults, they are all gathered in this book. This way, all the children in the world can teach all the adults in the world how the rules SHOULD go. 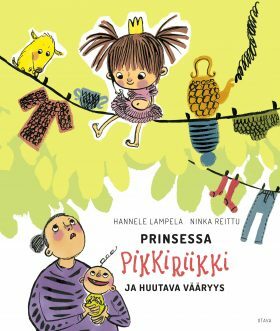 The Princess Pintsize series has been translated into Russian, Danish and Norwegian.